I don’t eat crab unless someone else does the hard work of extracting the meat from the shell. But I love unpacking pomegranates. Maybe it’s the bright red color or the sweet/tart burst in the mouth or maybe it’s just a personal preference. This choice may seem inconsequential. But I’m really curious. What makes one activity a treasure hunt and another drudgery? 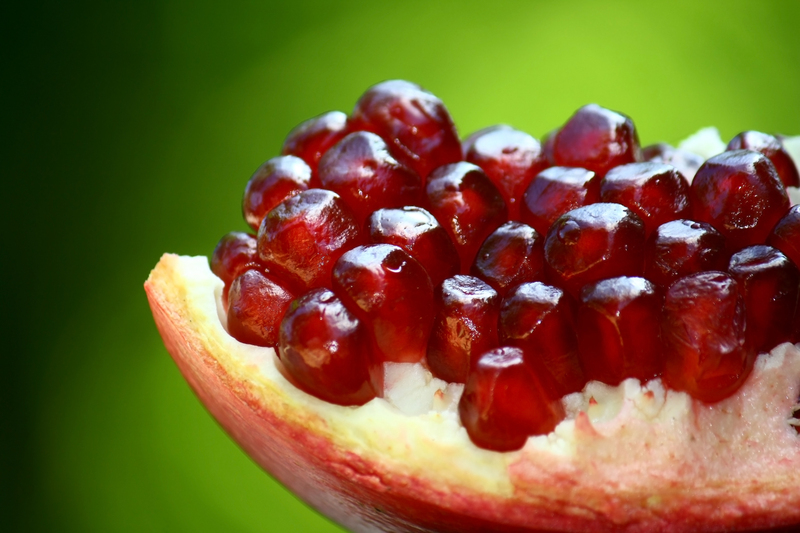 Whether I choose juicy pomegranates or smelly crabs, the fact is that neither is inherently good or bad. How I think about them determines their pleasure quotient. I consider this often during my work week because some tasks that I am capable of loving become heavy handed energy vampires. I love problem solving and yet I regularly balk at the beginning of a sewing project that requires decision making. I resist and I resist beginning. I tell myself “it won’t get any easier if you wait” and sometimes that gets me started. I pull out the big hulk of canvas that I am dreading and I do one thing. I draw a line. I add a hem. I cut off the excess and then there I am, on my way to completion, one step at a time. A similar thing happens when I get stuck in an art project. I wander and wander looking for inspiration, unable to cut open that juicy pomegranate of creativity. Then I do one easy task, one familiar technique that I know how to do and I find myself cruising along with delight. It’s almost as if I trick my mind by simply starting. But what if there is no familiar way in? I happen to love bookkeeping and money management. However, most small business owners consider finances the stinky part of their job and can’t imagine a way to begin. For me, selling is like that. It turns my stomach. So how do I navigate the fact that advertising my skill sets is distasteful and unfamiliar? Do I get someone else to crack that shell or do I focus on the tasty tidbits once the job is done? With the current economic climate, I have seen a drop in orders for boat canvas. Clearly, word of mouth is no longer enough. But I have refused to take action. Until I read two things that shifted my mind. In “the not so big life”, Sarah Susanka asks me to move toward that which I am resisting. Hmmm. Then, Rachel Naomi Remen, in her book “My Grandfather’s Blessings” talks about receiving our blessings. She points out how easy it is to miss the magic in people if we are not looking for it. I have had 99% positive experiences with my canvas customers. They are friendly, curious, appreciative. And yet when I imagine advertising, I get hung up on the 1% that might be cranky, stingy, demanding. What if I imagined pomegranate customers? If I re-framed selling canvas work as slicing open a sweet treat? Instead of seeing smelly, tedious and unfamiliar, I could be seeing yummy,delicious when it’s done. Ditto on the crab cracking. Clearly, the pleasure of eating the “stinky” stuff inside does not out rank the tedium of unleashing it. hehe. I’ve given a lot thought to the things I am uncomfortable doing and why, and decided – at this age – to give myself permission to avoid anxiety. I do not do it well. There must be a point when a person can just be themselves and stop pushing beyond their comfort zone. I totally totally totally understand your marketing phobia and wish you luck, Jeanne. Carol, thank you for your comments. I like the idea of permission to avoid anxiety…it makes me realize that part of what I struggle with is the “having to” part of work. Although I love what I do (both the canvas work and the bookkeeping), what I don’t love is the ongoing pressure to pay my bills and keep the wolf away from the door. Maybe there is some middle way… like more self kindness.